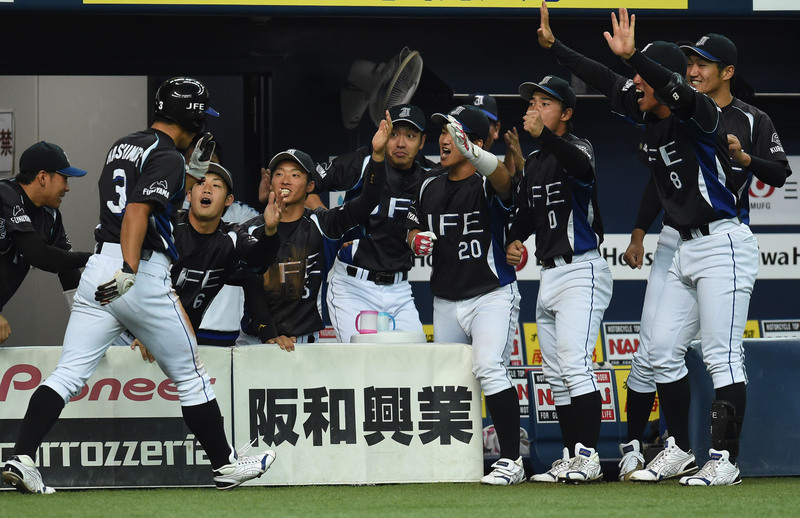 Photos by The Mainichi ( JFE West Japan’s dugout explode in exultation on run scoring in the 5th inning. PANASONIC (Osaka), Toyota (Aichi and NTT West Japan (Osaka) advanced to quarter finals on Day 7 of the JABA National Championship. Yanagida of Panasonic had two home runs in two consecutive at-bats, which helped to defeat JFE West Japan (Hiroshima) in a close match of 3-2. Panasonic has now advanced to the round of eight for 3 consecutive championship series. 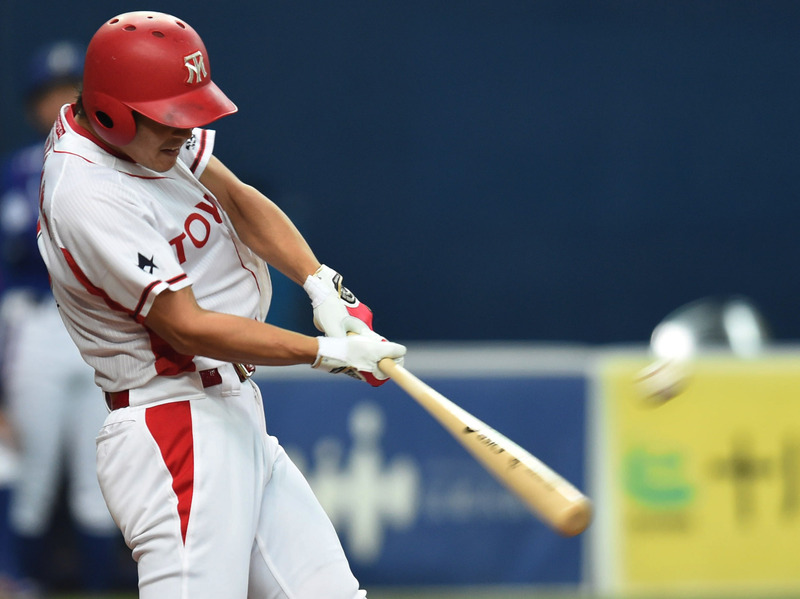 Toyota won a sweeping victory against JFE East Japan (Chiba) 6-1. NTT West Japan defeated Honda (Saitama) by a game-ending homer in the bottom of 11th inning.